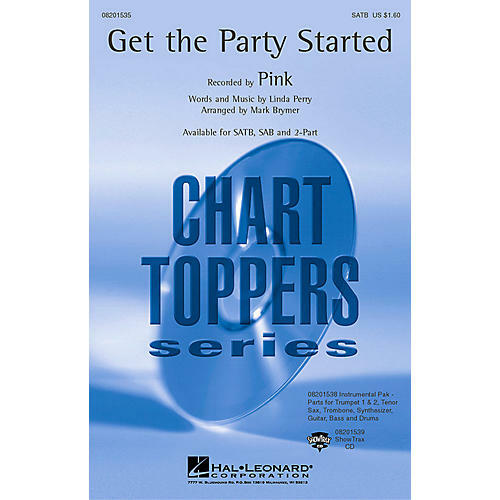 Get your party started with this choir and audience-pleaser! Recorded by Pink, this hot single rocketed to the top of the charts. Available: SATB, SAB, 2-Part, ShowTrax CD, IPakC. Approx. Time: 2:30.